Join us in our work to advance women and girls. Learn more about how you can help. If you are interested in donating to the Rhodes Project, we want to help you put your money toward work that most resonates with you. Would you like to support world-class academic research investigating the gender gap in leadership? Give to our research. Are you passionate about the lack of visibility when it comes to women's success and achievements? Donate to our Profile Series. Do you believe women need more platforms and online spaces from which they can safely develop public voices or contribute their knowledge or skills to society? Donate to our blog. Please scroll to the bottom of the page to learn more about contributing to the running costs of the Rhodes Project. The Rhodes Project is registered for Gift Aid, if you are unsure as to whether or not you can make a Gift Aid donation, please read the government guidance here. You can also give to the Rhodes Project at no cost to you when you shop online with participating retailers (including amazon.co.uk, John Lewis, M&S and more). Just use easyfundraising.co.uk. Click here to learn more. The Rhodes Project is currently working to find avenues to publish the Project's many findings about Rhodes Scholars' lives, achievements, and opinions. The Project has also recently developed and distributed an updated survey to Rhodes Scholar women, to supplement the data already collected by the Project with current information. You can sponsor our work on the book publication or on the recent survey. Those who donate above £100 will be listed in the acknowledgements of the book. We currently have over 200 profiles of women Rhodes Scholars. For an example, hear more from Joy Buolamwini (Tennessee & Jesus, 2013), featured left, the first scholar to do the Rhodes Service Year. You can sponsor one scholar profile for £25 or a bundle (5 profiles) for £100. If you would like to commission profiles for a specific election year or constituency, please get in touch at info@rhodesproject.com. The Rhodes Project encourages Rhodes scholars interested in publishing work on the blog to get in touch at info@rhodesproject.com. Whilst we will continue to accept external submissions (see our blogging guidelines), these roles are designed to allow contributors to develop a portfolio of high-quality pieces related to gender and feminism. We will provide editorial support and a platform from which we hope to connect contributors to other opportunities for publication. These are currently volunteer positions. You can support a contributor and donate to the operation costs of this programme by clicking the donate button below. The Rhodes Project hosts a number of events each year. These events range from celebrations of major achievements in the fight for gender equality, lectures by world-renowned professors and writers on gender and feminism, to smaller talks and workshops. See our events page for more details. You can donate to our events budget by clicking the button below. If you would like to commission or collaborate on a specific event (e.g. a talk by one of our researchers or a workshop with women and girls at your school or University), please e-mail us at info@rhodesproject.com. If you would like to make a general donation to the Rhodes Project's programmes please use the button below. 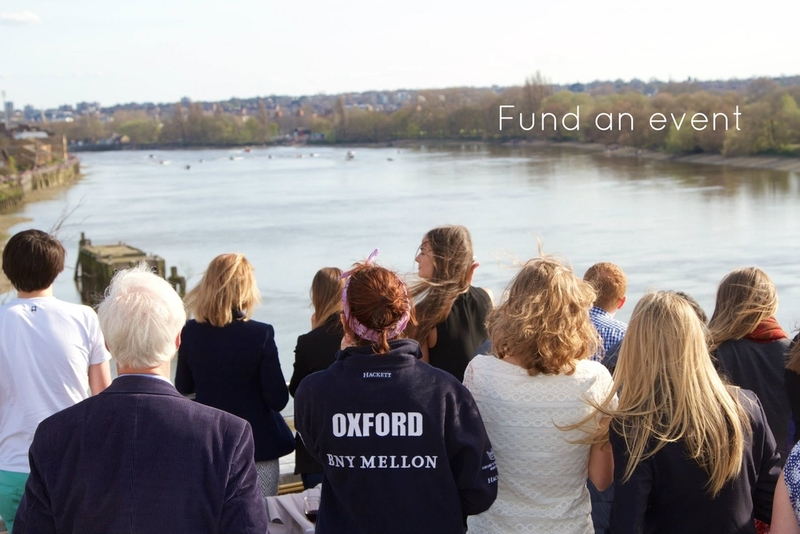 The running costs of the organisation are currently supported by Dr Ann Olivarius and her law firm, McAllister Olivarius, but we are in the process of seeking additional funding options. If you would like to discuss your contributions to the Rhodes Project in more detail, please get in touch with us at info@rhodesproject.com to arrange a time to speak. All donors will be thanked in our annual and quarterly reports which are widely distributed to our beneficiaries and stakeholders. A donation of £1,000 or more will make you a "Friend of the Project" and you will be featured prominently in the "About Us" section of our website. You may do this in your own name or in the name of someone you wish to honour.